Always the 28mm lens effects... About the refuelling probe, a day of very bad weather, a C-135 entered just a few moment before the Mirage IV into a violent negative turbulence and suddenly downed with its drogue remaining linked to the bomber probe. 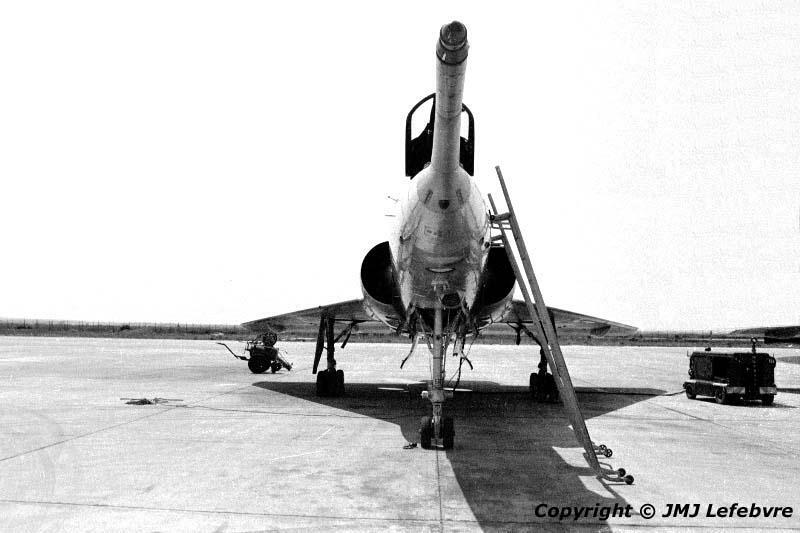 Result was that the Mirage got a downed nose in excess of 10 degrees as the one of Concorde for take-off. Pilot having wrong indicated anemometric values, it was necessary to send an aircraft to give him speed for approach and landing. In fact, when the delta aircraft lowered speed to down the landing gear and align runway it took the characteristic positive incidence of delta aircraft and so the nose probe centered in the airflow with as immediate consequence a quite normal indicated speed. And thus the flight ended very well with this quite amusing and unprevisible nose configuration giving something like a MirCord IV A prototype !! !